Beautiful Girls's maryjane in Chocolate Leather/Brown Trim with triple density outsole. 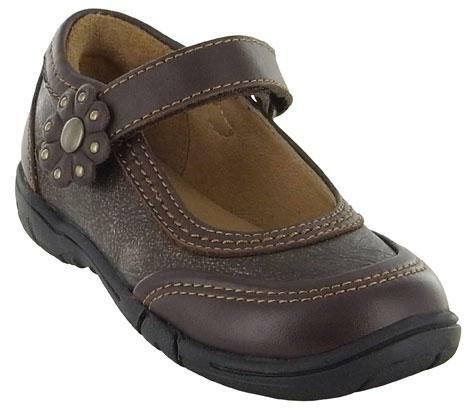 A bumper toe to prevent scuffing, cushioned leather insole and velcro closure compliments any outfit! Available width options: N (Narrow), M (Medium), W (Wide), XW (Extra Wide).